Moms out there: have you ever went on to tell somebody about how your good your child has been just to have them go and push another child over not even a minute later, and prove you wrong? Well, that's kind of what I feel like is happening with my unborn child. In a sense. Just as soon as I say that I am feeling good (and even go so far as declaring myself to be in the "Honeymoon Stage" of pregnancy) my unborn baby goes and proves me wrong. I have had a rough couple of days. Slight cramping, extreme episodes of dizziness, and the nausea; it's back. I talked to a co-worker about these symptoms and she asked me if I'm dehydrated. Well, I think she may be on to something. Drinking water does seem to help, a lot. I'm going to work on my water intake as I wait for a call back from my doctors office. I'm thinking these are okay symptoms to be having, but the cramping does set off some alarms for me. 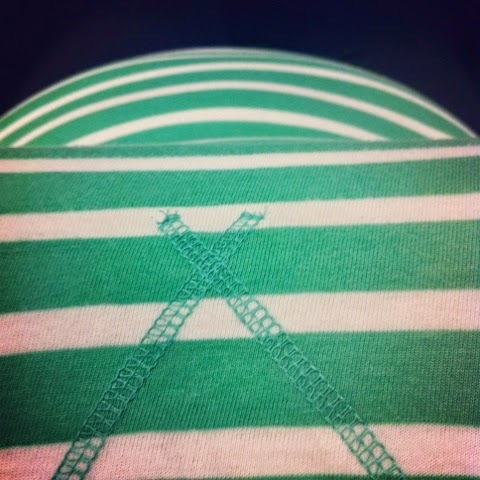 My favorite view: baby bump! On a more positive note, I received some good news from the doctors office yesterday. My baby is negative for Down Syndrome and a Chromosome Disorder they tested for at my last appointment. I wasn't really worried about these results, I just had a feeling everything was okay, but it's always nice to have the reassurance. Even with the cramping and dizziness I've been having, I still believe everything is okay. I am just waiting on a call back from the doctor to give me that reassurance!